Twice a year PlayPenn provides a free, professional public reading for a currently enrolled student. Homeridae by Alexandra Espinoza is the recipient of our spring semester play selection. Mac, an adjunct lecturer, and Nessa, a freshman, have a lot in common. They’re slightly awkward, deeply passionate about Homer’s The Odyssey, and are both African-Americans in a very white department at a very white school. They stumble upon the discovery that Homer himself came from Africa and must figure out how best to honor this in the face of conservative administrators, overbearing older siblings, the Internet, and Homer himself. HOMERIDAE is a play about stories, language, knowledge, and loss; and about finding your voice when it seems like no one is listening. Reservations end at 4pm the day of the reading. Seats will be available at the door. Alexandra Espinoza is a Philadelphia based theatre artist whose work aims to connect creative power to community voices. Performance credits include work with Orbiter 3 and Azuka Theatre. 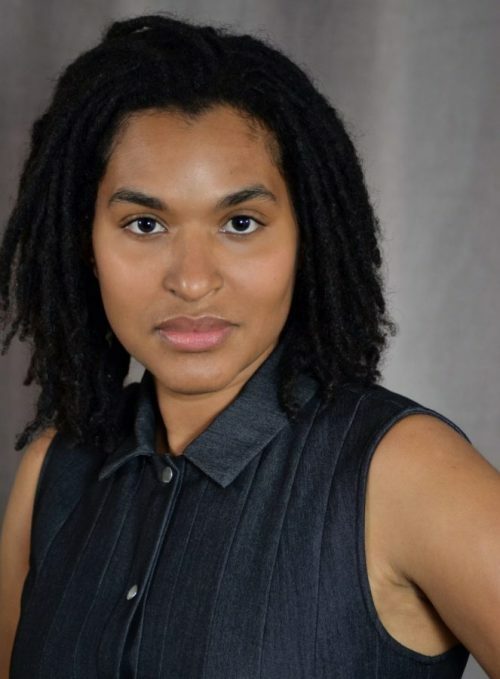 As a playwright, she is a first-year member of the Foundry at PlayPenn, and her plays have received productions and readings with Juniper Productions. Alexandra practices dramaturgy as community engagement and serves as the inaugural “communiturg” at Simpatico Theatre. Additional dramaturgy and directing credits include work with Azuka Theatre, Inis Nua Theatre, and PlayPenn. She is a resident teaching artist at Philadelphia Young Playwrights and has facilitated the creative work of people aged seven to seventy. M.A. in Theatre, Villanova University.